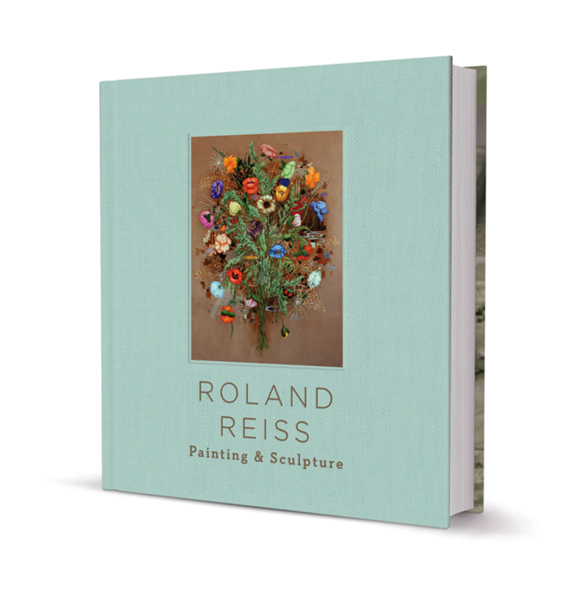 This 260-page survey of Roland Reiss’ career, published in 2014 in conjunction with the exhibition at the Cal State Fullerton University, Lee and Nicolas Begovich Gallery, represents the most extensive examination of Reiss’ work to date. Beginning with his career in the 1950s creating abstract paintings, it follows his 1960s experiments with resin and plastic, to his best-known tableaus featuring dollhouse-scale environments that address sophisticated issues about the human condition and social conventions. The book, for the first time, examines his return to painting, from his large scale abstract works to his recent series of floral painting. It includes essays by Orange County Museum of Art chief curator, Dan Cameron; Los Angeles County Museum of Art, curator emeritus, Howard Fox; New Zealand art writer, Lita Barrie; and Begovich Gallery director and curator of the exhibition, Mike McGee.